I will give a try when I will get a chance for sure! 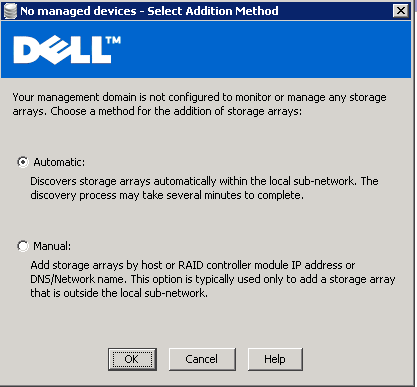 Earlier this piece of software used to come with Storage Server as a optional feature…..
How to Extend a System Disk in Windows 2008 R2 Server? Do you remember cumbersome process in Windows 2003 to extend your partitions using “Diskpart” especially C: Drives i.e. System Partitions?? Windows 2008 R2 has a fantastic solution around that. You can use Disk Management console and do that. Let’s do a small lab around this. I am using a virtual machine, where I have C: is 20GB and D:10GB & have unallocated space around 100GB. I have right click on system volume i.e. C:, found Extend Volume has been grayed out but when I right click on D: I can see it is active. What the heck is this? Ah! Now I understood I can only extend my partition if there is some adjacent free unallocated space. I don’t have any data on D:, so I can delete that and create some space for my testing. D: partition has been deleted, now I can see Extend option for my system partition. Let me provide another 5000GB in extend wizard. Wow now it is 24 GB! Just wondering why can’t we extend our partition to a unallocated place located in a different physical location in the same HDD at least? Can anybody buzz me a link around that? In past I have tried one Linux based tool for disk re-alignment called “GParted”. If I am not wrong that is one of my best bootable media to extend partitions when Windows 2008 R2 was not there & for non-windows machines. If you like to try that, you can download from the community portal http://gparted.sourceforge.net/livecd.php. This is my first look at the product. I will keep writing about the product and how to do in next my postings. So don’t forget to check Storage Section! Hey my mouse is not working in this Virtual Machine! Let me jump and install the Hyper-V Integration Software… ZZZZZZZ. Done… Asking to reboot… let’s go ahead for it! Remote Desktop has been already enabled! I just enabled Windows update, let see how many updates are available for this product. Windows update is showing downloading & installing! Surprise, I didn’t ask him to install updates… Anyway I am going for the day. To accomplish this task we may be flipping between storage box & our server for some time. Bear me with that. – It will scan for some time. It will detect the array for management. Now you can manage the array from the same server too. Start installation by double clicking “Setup.exe” in the same server where you like to configure a Storage LUN. Make sure your logon ID has Administrative permission to install software & it don’t have a “!” icon before your user account. I spent 2days to figure out why my installation is failing due to “!” before my user ID. They have a standard to put “!” before consultants Domain ID.